Dementia and Alzheimer's are truly horrible and cruel diseases. But new research is showing that you can not only 100% prevent them from occurring, you can actually reverse their effects! Dementia is such a shocking disease. Because the mental and behavioural changes happen so gradually in a sufferer, you’re left to watch your loved one slowly deteriorate before your eyes and you grieve every time they take a turn for the worst. This is one illness that’s particularly close to home for me, having watched my mother-in-law suffer from this disease for over ten years. The first signs were small and subtle, but slowly became more frequent. Things such as leaving appliances on, repeating herself in conversation, and paranoia all gradually got worse until eventually she had to be placed in a high care home that caterers for dementia and Alzheimer’s patients. My father-in-law looked after her for as long as he could (and did an amazing job) but the eventual strain took its toll on him. I also watched my wife grieve every time she saw her mom slip down further. The day her mom forgot who she was, was especially hard for her. I must admit, I never liked going into the dementia ward at that home. Seeing so many patients walking around like zombies was incredibly sad (not being disrespectful here but that’s exactly how they look). Many of these people were doctors, lawyers, nurses, engineers, once upon a time, and now they couldn’t even remember their own name. The hardest part for us was my mother-in-law passed away before we discovered there were actually natural remedies available for treating dementia (and that many were producing some truly astonishing results). Hindsight is always a wonderful thing though. Dementia is not actually a single disease or illness in itself. It’s a “shared term” used to describe the difficulties people with various underlying brain problems or brain damage can have with their thinking, memory, and speech (cognitive decline). So it’s basically a broad term used to describe a loss of memory, intellect, rationality, social skills, and what would be considered normal emotional reactions in a person. Alzheimer’s, vascular dementia, Lewy Body dementia, Creutzfeldt-Jakob disease (CJD), Parkinson’s, ALS (Lou Gehrig's disease or motor neuron disease) and Huntington’s disease all come under the dementia umbrella. Incredibly, one new case of dementia is diagnosed every 4 seconds around the world. That tells you the sheer scope of this brutal disorder and how many lives are being affected. Of course, Alzheimer’s makes up the bulk of dementia sufferers (60-80%), followed by vascular dementia. Dementia is essentially the slow and progressive dying of brain cells, usually resulting from a neurodegenerative disease like Alzheimer’s. However, dementia can also be caused by a head injury, stroke or brain tumor, which can result in vascular dementia (lack of blood flow to the brain). Dementia symptoms will usually begin to develop in Parkinson’s, ALS and Huntington’s patients as these diseases progress. The medical profession will tell you that no one really knows what causes dementia, but the truth is, environmental factors play a huge role. The build-up of toxins, chemicals and heavy metals in the brain are one of the main instigators, along with nutritional deficiencies. Hay fever treatments and over the counter sleeping pills also increase the risk of dementia related diseases such as Alzheimer’s according to a new study. ﻿You can read about it here﻿. Recent Memory Loss and Forgetfulness - Such as asking the same question repeatedly and forgetting that it’s already been asked. Repeating sentences. Difficulty With Everyday Tasks – For example, making a simple beverage such as a cup of tea or coffee, or cooking a meal, then forgetting about it and leaving it. Communication Problems - Difficulty with language. Forgetting simple words or using the wrong ones. Slurring. Disorientation With Where They Currently Are – For example, getting lost on a once familiar street and forgetting how they even got there (or how they’re going to get home). Poor Judgement – Such as looking after a child then forgetting about them and going off to do something else. Generalized Thinking Problems – Dealing with money, using credit cards, etc. Misplacing Items - Including putting them in the wrong place then being unable to remember doing this. Mood Changes – Such as alternating between happy, sad and angry in the space of a few minutes. Swinging quickly through a set of moods. Personality Changes – For example, becoming irritable, suspicious or fearful. Lack of Motivation - Showing less interest in starting something or going somewhere. The Alzheimer’s Association also has their own list of symptoms to watch out for. You can view it here… Know the 10 Signs. Other psychiatric medications such as the mood stabilizer, valproic acid (Depakene, Depacon, Depakote, Stavzor) also carry higher risks and much less benefit, according to Dr. Maust and his research team. With the newer and more commonly used antipsychotics, the risk definitely increases with higher dosages. In addition to these, you have cholinergic treatments and memantine treatments, which are designed to stabilize the symptoms of Alzheimer’s and Parkinson's disease. However, these have been found to have limited ability and only work for a short while. Can Natural Remedies Help to Treat and Even Reverse Dementia? The answer to this question is a definite yes!! You just need to start treating the affected person as soon as possible (the earlier the better). But even if they are in the latter stages of the disease, you can still help them tremendously by using natural therapies. In fact, you won’t believe the astounding changes that will happen, even within a few short weeks. And the best part about using natural remedies for treating dementia over pharmaceutical medications is there are no harmful side effects! Coconut oil works so incredibly well for dementia patients it almost seems like a “magic bullet” treatment. Coconut oil contains substances called ketones, which are a powerful brain food (one of the best actually). The healthy fats contained in coconut oil also help to rebuild the lining of the nerves so brain communication is increased and healthy nerve function is enhanced. Virtually all dementia suffers (especially Alzheimer’s and Parkinson’s patients) who try it receive overwhelmingly positive benefits. I had the privilege of interviewing world-renowned coconut oil expert and author, Dr Bruce Fife, not so long ago and he spoke extensively about the power of coconut oil for preventing and reversing Alzheimer’s disease (and backed it up with some very reputable studies). Coconut ketone therapy has the potential to stop the progression of Alzheimer’s, reverse it, and in some cases completely eliminate the disease. The medical research on coconut oil derived ketone therapy is remarkable. In one study for example, Alzheimer’s patients were split into two groups. Each group was given a beverage to drink. The beverage given to one group contained MCFAs from coconut oil, the other beverage contained the types of fatty acids ordinarily found in the diet. Ninety minutes later the investigators had the patients take cognitive and memory tests. The results showed that those patients that consumed the beverage with MCFAs scored significantly higher on the tests. This study was remarkable for three primary reasons. First, it demonstrated that MCFAs do have a positive effect on Alzheimer’s patients. This is incredible because no drug currently in use has shown a positive effect like this. The very best Alzheimer’s drugs can do is to slightly slow down the progression of the disease. None have ever been able to stop it or even produce any improvement. MCFAs showed actual improvement. Second, the results of the MCFAs were seen almost immediately: just ninety minutes after taking the drink the patients shown measurable improvement on test scores. Third, the improvement was seen after only one dose of MCFAs. The patients didn’t need to take hundreds of doses of a drug for months at a time to see any benefit, the benefit was measureable after a single dose. There is no drug on the market that can come close to matching the effects Alzheimer’s patients get from coconut oil. I suggest you take the time to read the full interview here on the extraordinary health benefits of coconut oil… Terrific Interview With Coconut Oil Expert Dr Bruce Fife. Dr. Beverly Teeter, a renowned researcher from the University of Maryland who specializes in dietary fats, say’s the benefits of coconut oil for treating Alzheimer’s patients can be extended to Parkinson’s, ALS, epilepsy, schizophrenia, autism and other neurological and nervous system disorders as well. One woman, Dr. Mary Newport, started giving coconut oil to her Alzheimer’s husband and witnessed some astonishing improvements in his mental, emotional and physical health. This special CBN news story on Steve Newport’s amazing recovery from Alzheimer’s disease is definitely one you cannot miss watching! 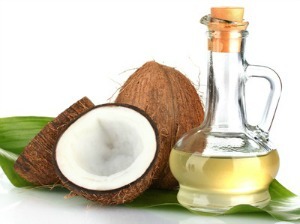 You can view it here… Coconut Oil Touted as Alzheimer’s Remedy. How Much Coconut Oil Do You Need to Take? Firstly, understand that you cannot overdose on coconut oil… ever! However, too much in the beginning can cause mild diarrhea in some people so it’s best to start off slow and gradually build up. 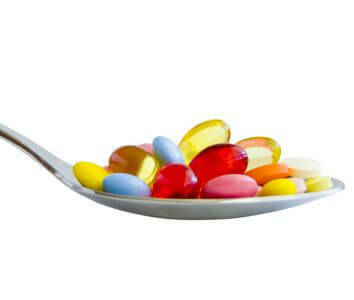 Two tablespoons taken three times daily in divided doses (with food) is best to begin with. After a few weeks you can then increase to four tablespoons consumed three times per day. Just make sure the coconut oil you buy is 100% organic, virgin coconut oil. Processed coconut oil contains trans fatty acids and should never be eaten. Take a heaped teaspoon of cinnamon powder 3 times daily with or without meals and use it in your cooking as much as possible. You can also make up a delicious cinnamon and ginger tea for an extra supply if you wish (ginger is also very good for dementia). With the capsules, a total of 3 grams daily (or more) will be required for best results. Vitamin B3 (niacin) and vitamin B6 are needed by the body to form neurotransmitters, making them crucial for the health and correct functioning of the nervous system and brain. B12 is essential for the production of substance known as myelin, the white sheath that surrounds nerve fibers. The B group vitamins, especially folic acid, also help to reduce homocysteine levels in the body, another major precursor of dementia and dementia related diseases. A vitamin D deficiency has been repeatedly linked to brain problems such as poor memory and recall attainability. Researchers believe that vitamin D protects brain cells and may even be able to help damaged neurons regenerate. Vitamin D is also a strong anti-inflammatory and immune boosting nutrient. Because inflammation and low immunity are such powerful factors in the onset and development of dementia diseases, vitamin D could quite possibly be the most important and crucial nutrient for all dementia sufferers. For vitamin B12, a sublingual spray containing methylcobalamin is the absolute best and most absorbable way to get your daily dose (a few sprays under the tongue and you’re done). Here’s what one looks like… B12 Sublingual Spray. For the other B group vitamins (and an extra dose of B12), a good quality B complex supplement will suffice. For your vitamin D, there are two ways. Firstly, get out in the sun! 20-40 minutes of regular sun exposure a day (depending on the temperature) is still the best way to receive the vitamin D your body needs. The most important areas of exposure are the face and back of the hands. In addition to this, and especially if you live in cold climates, supplementation with vitamin D3 (the same as what the sun makes) is crucial. Best sources are vitamin D3 supplements and cod liver oil. Just remember too, our body’s need lots of vitamin D so don’t be afraid of overdosing on this vital nutrient (vitamin D expert, Dr Cedric Garland, recommends a minimum of 5000 IU’s of vitamin D per day so I suggest you follow his guidelines and not the RDA). For vitamin E, the best source is without a doubt unprocessed red palm oil. The benefit of red palm oil is not only is it incredibly high in the eight different forms of molecules categorized as vitamin E (including the “king of kings” alpha-tocopherol), it’s also high in the healthy ketone fats all dementia sufferers need. And in addition, red palm oil helps with blood circulation, along with providing powerful neuroprotection just for good measure! Even Dr Oz says red palm oil is a miracle oil for longevity so start getting some into you or your loved one as soon as you can. Minerals are commonly referred to as “the sparks of life”. They are what keep our body battery going and keep it charged. Minerals are also needed by the brains “electrical circuit” to function properly. You may not know this but your brain is one incredible and very intricate circuit board. Every time you think a thought (or every time your brain is at work is probably a better description), little “sparks” and electrical currents are busy racing and crisscrossing each other in a dazzling and spectacular light show. In fact, while you’re brains at work it's actually producing enough electricity to power a light bulb! So how it basically works is when you think a thought, that particular thought is then transferred or relayed to the area of the brain that needs it by “sparks” or electricity. And minerals are one of the crucial components that make this all happen and make the process run smoothly. But when your brain lacks the minerals it needs for this process to work correctly, these sparks begin to “jump” in the wrong places. Or even worse, they don’t jump at all! This is the beginnings and eventual progression of diseases such as Alzheimer’s. Our bodies need over 60 essential minerals and trace elements every day to function correctly and at its peak. Exactly how many minerals our brain needs to function properly, no one really knows. But it’s lots! Magnesium is one of the most important minerals for the brain and for healthy nerve function (this is also one mineral that’s severely lacking from our modern day diets). Studies have shown that dementia sufferers can improve, some quite dramatically in fact, from correct mineral supplementation. Liquid colloidal minerals are the best and most absorbable way to get the required 60+ minerals your body and brain needs every day (they’re the only way really). For magnesium, a transdermal magnesium spray is the best way to go. Magnesium is tough for the body to absorb but with a transdermal magnesium spray, it’s penetrated directly into the blood stream via the skin. If this is not practical or you don’t like the idea of spraying an oil on your skin every day, there is a terrific magnesium supplement available called Natural Calm, which is actually one of the very few oral magnesium supplements on the market that’s highly absorbable (and doesn’t taste awful). You can check it out here if you're interested… Natural Calm. Omega-3 fatty acids are yet another fat that are incredibly healthy for the brain and nervous system. They contain the EPA and DHA essential fatty acids, which help to prevent brain cell damage and keep the nervous system in peak working order. And they don’t just help to slow down the progression of dementia diseases such as Alzheimer’s and Parkinson’s either, they also help to lower ones risk of developing the disease in the first place. Best sources of omega-3’s are fish oil, cod liver oil and krill oil. Krill oil is probably the pick of the bunch because it contains a substance called Astaxanthin, which is a potent “brain food” and has been shown in studies to help prevent neurodegeneration of the brain. This makes perfect sense, since bacteria, viruses and “dangerous deposits” such as mercury and aluminium have now been vindicated as prime suspects in the onset and development of diseases such as Alzheimer’s. In fact, researchers from Umea University found that the herpes simplex virus increases the risk of Alzheimer’s disease. They said… "Our results clearly show that there is a link between infections of herpes simplex virus and the risk of developing Alzheimer's disease”. So building up the body’s immune system and keeping these microglial cells healthy and in tip top condition is absolutely vital for the prevention and reversal of dementia, particularly in regards to Alzheimer’s disease. 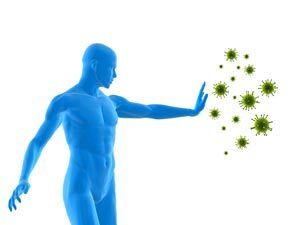 For some of the best (and fastest) ways to do this, have a read of “The Top 13 Ways to Boost Your Immunity” from our June newsletter here… Take Your Health to a Whole New Level With These Powerful Immune Boosting Tips! So the flushing out (chelation) of these heavy metals from the nervous system and brain is definitely a top priority for the prevention and treatment of dementia. And the two best ways to accomplish this is through the supplementation of a stunning superfood called chlorella and Borax powder (yes I know it’s classed as an ant killer but stay with me on this one). Chlorella is a powerful detoxifier, probably the most powerful yet discovered in fact. 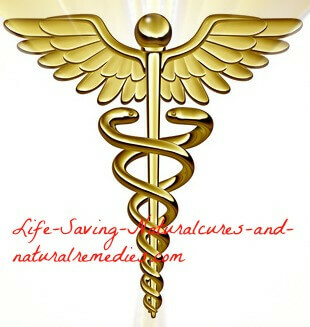 It has a unique ability to pull heavy metals out of the body but leave the good minerals (essential minerals) alone. Chlorella also removes other toxic poisons, chemicals and pesticides from the digestive tract so they don’t enter the bloodstream and poison the body. A Russian study found that chlorella, combined with cilantro (coriander), was able to remove all heavy metals from the body, including mercury, with no adverse side effects. These remarkable benefits make chlorella the #1 detox food available, followed closely by Borax. Now, in case you don’t already know, Borax is actually used as a food preservative so don’t be scared off by it. For more information on the astonishing health benefits of Borax, I strongly recommend you take the time to read Walter Last’s stunning article. There you will also find recommended dosages, along with lots of other health problems Borax can help with. Here’s the link… The Borax Conspiracy. For years now we’ve been told that cholesterol is bad for us and if we eat too much we’ll end up dropping dead of a heart attack. Well this information is totally false! And thankfully, the truth on this one is finally coming out. So many articles (such as this one) are finally relaying the real facts, that eating cholesterol containing foods doesn’t cause heart disease and that cholesterol actually helps to prevent and treat dementia and Alzheimer’s! Think about this… your brain by weight is 75% pure cholesterol. And the insulating material that surrounds your brain is actually 100% pure cholesterol. Without enough cholesterol, this “insulation” begins to shrink, which also causes your brain to shrink! Remember what I said about minerals and the brains electrical circuit board? You can ask any qualified electrician about this… if you don’t insulate electrical wires or currents then the electricity is basically free to “jump” wherever it pleases (this is why electrical wires are always wrapped in rubber or plastic; it gives insulation). Well, your brain is exactly the same. Without enough insulation (cholesterol) your brains electrical currents (sparks) aren’t going to hit their mark, so to speak. The result? Neurological problems and diseases such as Alzheimer’s. This is another reason why cholesterol lowering drugs are so dangerous and are actually one of the causes of Alzheimer’s disease! Certain foods definitely help with the prevention and treatment of dementia, while other foods are guaranteed to make this condition much worse. Filtered water – Helps to flush toxins from the body and hydrate the cells (including brain cells). Green tea or Matcha tea – Both contain powerful antioxidants known as catechins which remove harmful toxins and chemicals from the body. A component in these teas has also been shown to decrease brain beta-amyloid plaque formation. Turmeric, Ginger, Cinnamon, Black pepper, Chilli’s (Cayenne pepper), Rosemary, Coriander and Garlic – All of these herbs and spices are potent anti-viral, anti-inflammatory and immune boosting foods (everything dementia sufferers need). Reishi and Cordyceps mushrooms – Both are immune boosting and contain strong neuro-protective properties. 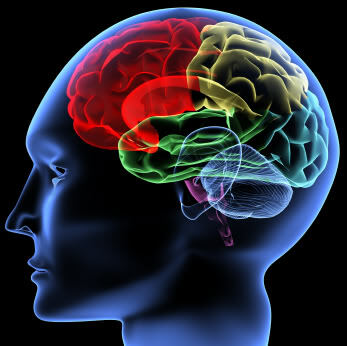 Probiotics – Needed for healthy gut function, which in turn produces healthy brain function and healthy immunity. You can learn how to make your own fermented foods such as kefir, sauerkraut, kombucha and yoghurt here… Cultures for Health. Whole foods – Eating plenty of organic mixed berries, green leafy vegetables, liver (if you can stomach it), nuts and seeds such as chia and flaxseeds is vital. When it comes to buying these, fresh is definitely best. Margarine – This is a man-made death food that’s guaranteed to fry your brain and make brain disorders such as dementia much worse. Don’t touch it with a ten foot pole! Refined (processed) sugars – Makes your blood sticky and restricts circulation to areas of the brain. Another man-altered death food. Gluten – Has been repeatedly linked to brain disorders and learning disabilities so all gluten containing foods are best avoided. Trans fats – Margarine, all baked goods, fast food and vegetable oils (especially the ones that you find sitting on the shelf in supermarkets in clear bottles) are full of brain damaging trans fats and free radicals. These must all be completely avoided if you want to prevent or reverse dementia. Processed dairy – Pasteurized milk, cheese, cream and yoghurts are toxic gunk that stick to the lining of the gut and prevent the absorption of nutrients. Unless you have access to unpasteurized dairy products, use alternatives such as coconut milk or almond milk. Remaining mentally and physically active has been well proven to not only delay the onset of dementia, but also help to improve the symptoms and even reverse the disease. When it comes to using your brain, the old saying “You Snooze You Lose” is definitely true. If you don’t keep your body active it will eventually become stiff and seize up on you, and your brain is no different. So you must keep it active and working. There’s a direct correlation between mental stimulation, such as learning something new or doing puzzles, and a decreased risk of dementia and Alzheimer's. Researchers believe mental challenges help to build up the brain, and by doing this, make it less prone to developing the lesions that can cause Alzheimer's disease. What’s more, mental stimulation also helps to delay brain deterioration in people who already have the disease, and in many cases, can even reverse it. 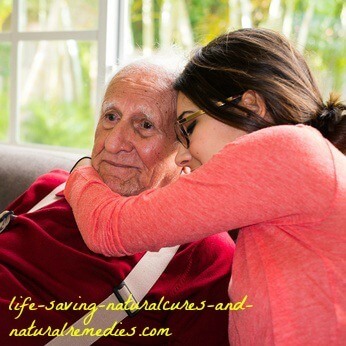 So there you have our top 10 natural remedies for successfully treating and reversing dementia and Alzheimer’s disease. 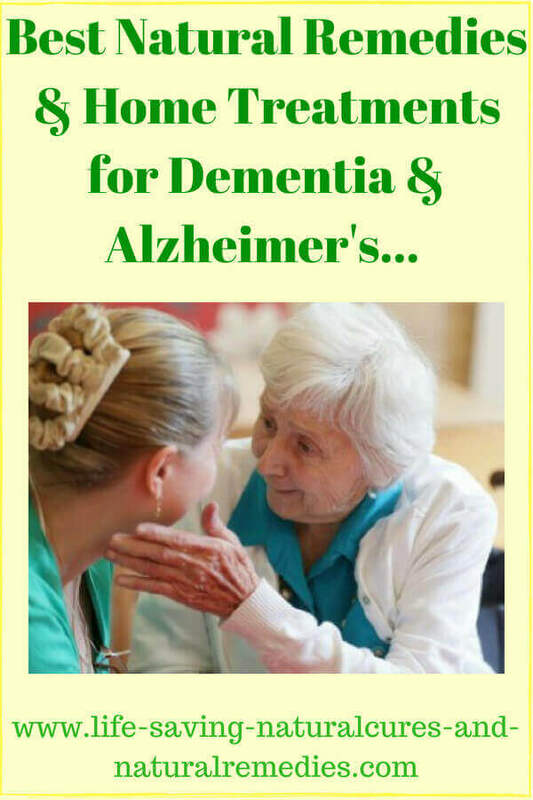 But don’t forget (no pun intended) that these remedies and recommendations are also exactly what you need to be taking and following to prevent dementia from ever affecting you! (Prevention is always best). And like we said earlier, you have nothing to lose by trying these treatments. We recommend you start with #1 and then work your way down the list, using and utilizing as many of the remedies as you or your loved one can. Expect to see some big results within 3-6 months. It will, however, take at least 12 months for a full recovery (or as close to a full recovery as you are going to get) so you must be patient and consistent with the daily application of these recommendations. So what are you waiting for? Get going on this straight away. We guarantee, the results are going to blow your mind! (In a good way though). 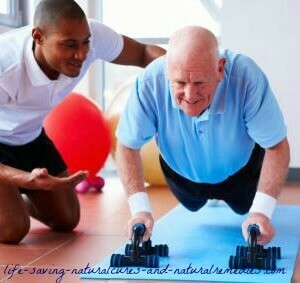 Sources and references for this article include: mercola.com, natural news.com, drdeborahmd.com, medicalnewstoday.com, westonaprice.org, coconutoil.com, drhyman.com, cbn.com, earthclinic.com, dailyrx.com, fightdementia.org.au, telegraph.co.uk, Sawyer, Troy, How to Increase Your Energy, Cure Poor Health and Enjoy Living Longer!